Even though I haven't made your Banana Cake recipe yet, I would love your recipe for the German Chocolate Cake as well. Hopefully, you will post it during a Christmas post. Please, please. And, Happy Birthday to your sister. 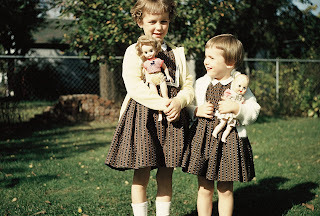 What a darling photo of you two with your dolls. Thanks, Barbara. I will gladly share the recipe. 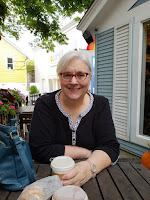 Thanks for the wonderful post on your blog. I wish I lived closer and I'd be over for that German chocolate cake!! We have a lot of great childhood memories. 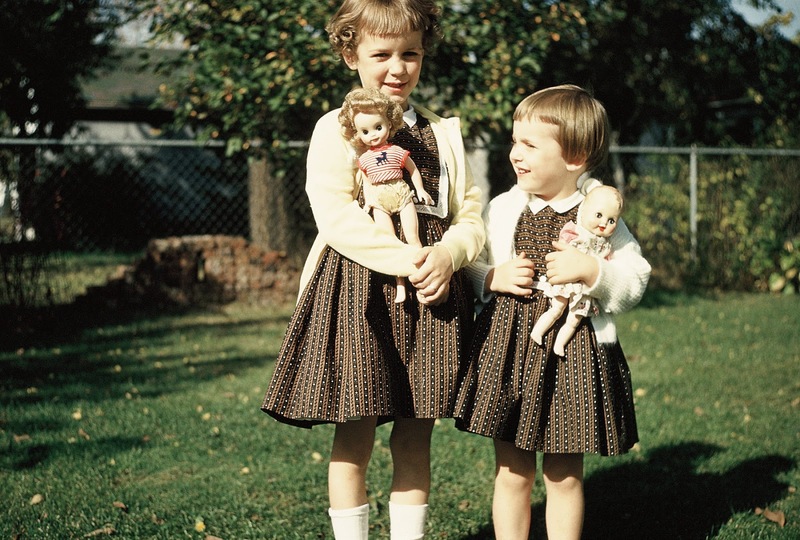 Great pic -- I remember we always had matching dresses.